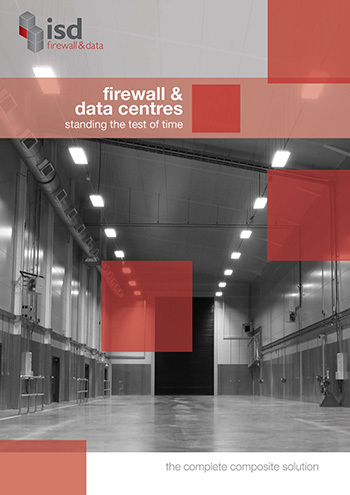 ISD Firewall and Data in 2008 supplied, installed and completed their largest data centre project to date. The £1.1million project consisted of installing over 8000m2 of 2 hr fire rated mineral fibre panels and over 150 fire rated pedestrian doors. For this project, ISD offered the complete fire rated solution incorporating fire rated walls, and doors to virtually all internal walls. Not only the data halls were constructed by ISD but nearly all inside walls to the supporting centre were constructed from mineral fibre panels. The project was challenging in design and construction and all partitions were installed on 3 levels within the 18-week program. The non-fire rated data halls also provided ISD with some unusual design problems, as the requirement was for full airflow at the top and bottom of the data hall walls. Standard fixing details require the base and head to be permanently fixed. Our in-house design team used innovative and unique methods to support the panels without making penetrations to any panels. In all other supporting areas, ISD installed a full fire rated partition providing 120 minutes integrity and insulation throughout the centre. This was the first Data Hall project between ISD and one of the largest construction companies in the UK. ISD delivered a high-quality product to the contractor’s requirements and the project resulted in the main contractor issuing ISD with a framework agreement to enter their preferred supplier chain.